Since the early days, 3D printing in automotive manufacturing has witnessed unprecedented industry adoption. With the emerging economical and environmental concerns, there is a pressing need to rethink the way automobiles are designed and manufactured. Leading global companies have recently begun to realise the commercial benefits of 3D printers in automotive manufacturing beyond prototyping. 3D printing has significantly transformed the way automobiles are designed, developed, and manufactured. 3D printers in automotive manufacturing and design can offer global automobile manufacturers the following benefits. 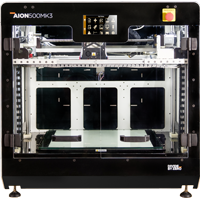 Industrial-grade 3D printers from Divide By Zero offer limitless application possibilities in automotive design and manufacturing. 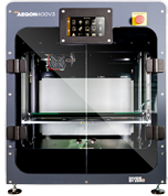 We aim to foster creativity and innovation with our reliable, accurate and consistent 3D printing solutions. Our aim is to encourage, empower, and be an instrumental part in driving the benefits 3D printing in automotive design and manufacturing. 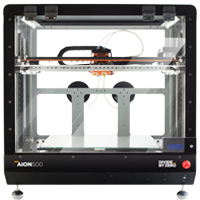 Design validation, functional prototyping, ergonomics and developing for mass production, Divide by Zero 3D printers can deliver consistently in any of these applications. 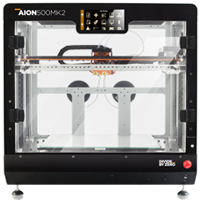 Divide by Zero's premium-grade Aion 500 3D printer ensures reduction in turnaround time right from ideation to realisation. From complex braking mechanisms to aesthetically designed dashboards, auto component makers can harness Aion 500's full potential. Divide By Zero's industrial-grade 3D printing solutions empower automotive manufacturers to reduce cost, increase assembly line efficiency and stay ahead of competitors and industry challenges. Count on our stellar output quality, well-built machinery, and expert product support to embark on your journey into the future of automotive design.